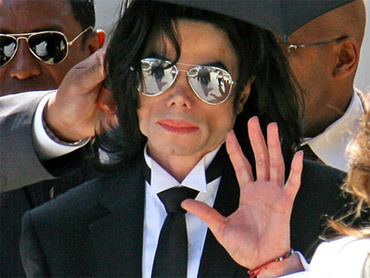 Reported Jacko Deal "Big Deal of All-Time"
The $200-$250 million deal Michael Jackson's estate is said to have reached with Sony Music Entertainment is the biggest of its type ever, according to Showbiz411.com columnist Roger Friedman. The Associated Press is reporting that it involves 10 projects over seven years, and one of the albums will be of never-before-released Jackson recordings and will come out in November. Friedman told "Early Show" co-anchor Harry Smith he's "not surprised because, since Michael died last June, he's sold 31 million albums. What's happened is really ironic because, before he died, for a few years, his career was cold. And his finances were in shambles. And since he's died, everything's taken off. Everything. "Sony wants to stay in business with him as a recording artist. And you have to remember that this amount of money … is just for recordings. It doesn't include his publishing, it's not merchandise, it's not live shows that they're gonna have around based on his music. This is just for the recordings. Friedman called it "a great deal for everybody. Because Sony's always been in business with Michael Jackson, since 1979. And they want to keep it that way. They have the (Jackson music) catalogue. And this is very good for them.
" … The only deal that was close to this (for recordings only) was Bruce Springsteen, also at Sony, five years ago got $100 million. And that was very controversial. But this is really the big deal of all-time." Jackson's three kids "are really the beneficiaries of this," Friedman added, " … because it goes to his estate. And they're the prime beneficiaries. And his mother will get something. But those are really the only people who really get anything out of this." The Jackson children are now "set for life," Friedman observed, "so, hopefully, they'll grow up nicely and be able to spend it well."